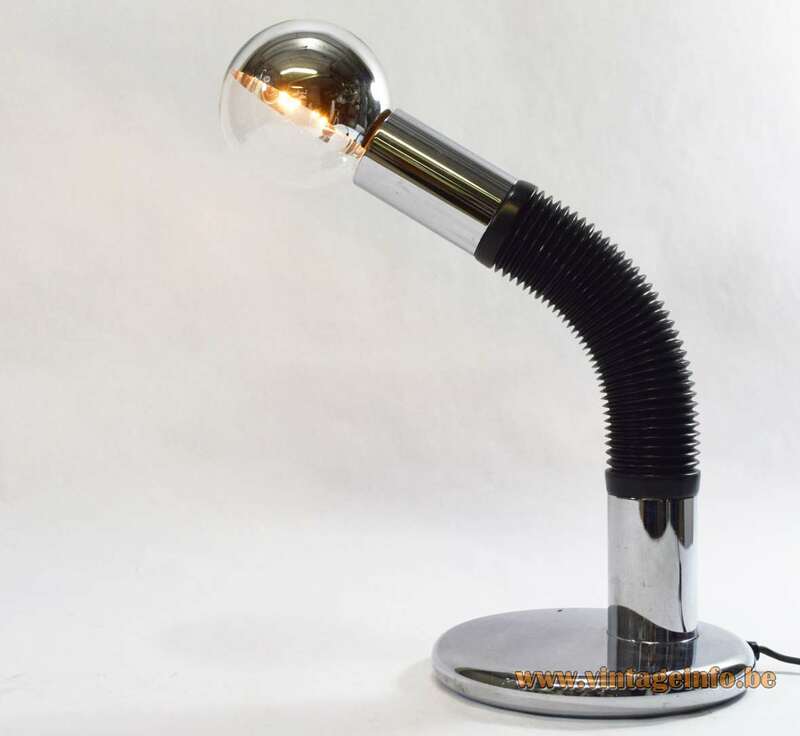 Gino Sarfatti was born in Venice, Italy in 1912 and studied aeronaval engineering at the University of Genoa. Gino Sarfatti died at Gravedona, Como, Italy in 1985. He was the founder of his company Arteluce S.A. 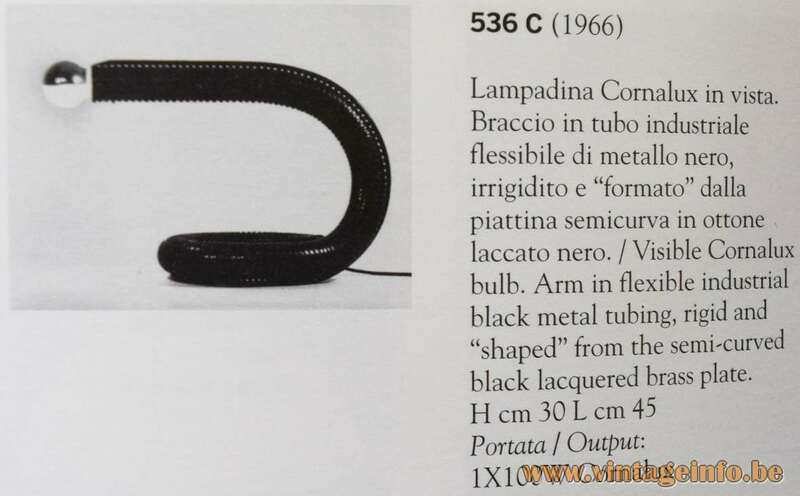 The 536 C desk lamp designed by Gino Sarfatti was published in the book Gino Sarfatti Selected Works 1938-1973, written by Marco Romanelli and Sandra Severi and published since 2012 by Silvana Editorale S.p.A. You can find the 536 C lamp on page 426. 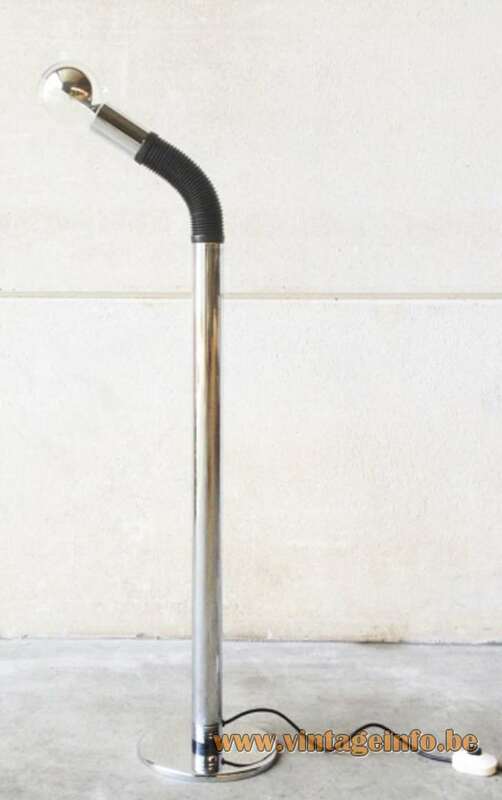 Materials: Chromed metal, black plastic hose. 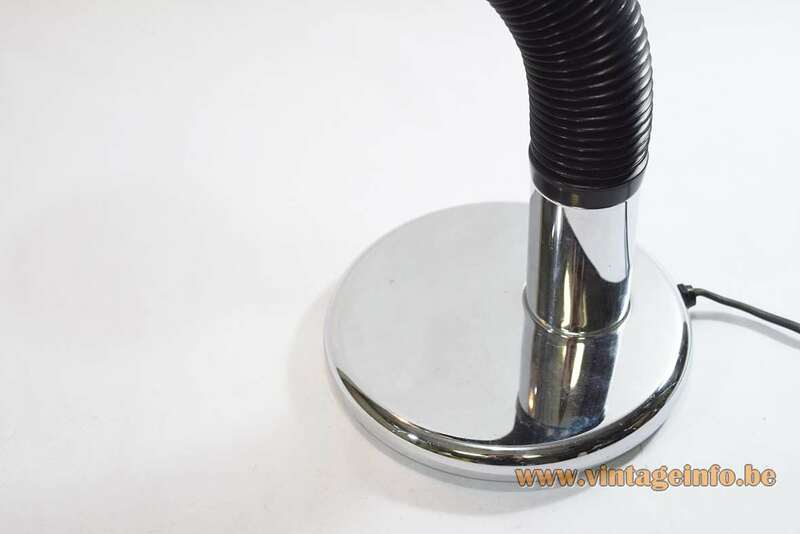 Metal gooseneck. Bakelite socket. 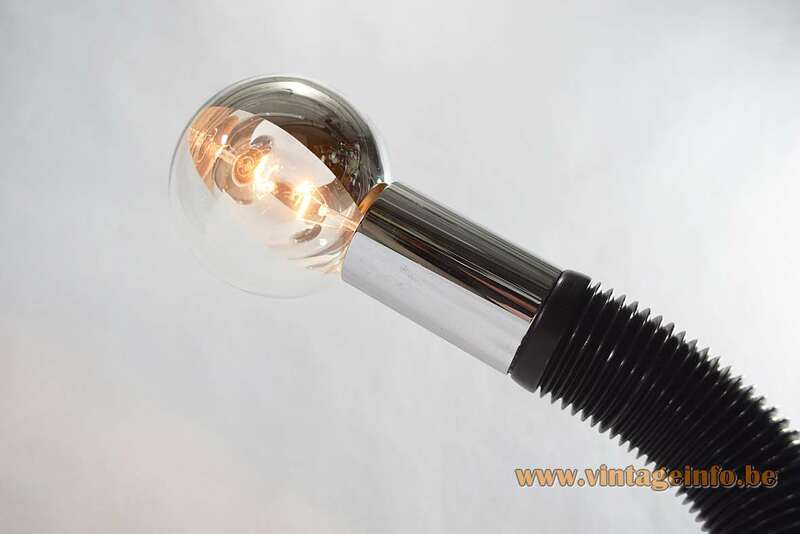 Any type of light bulb can be used, but preferably a side mirror globe bulb. 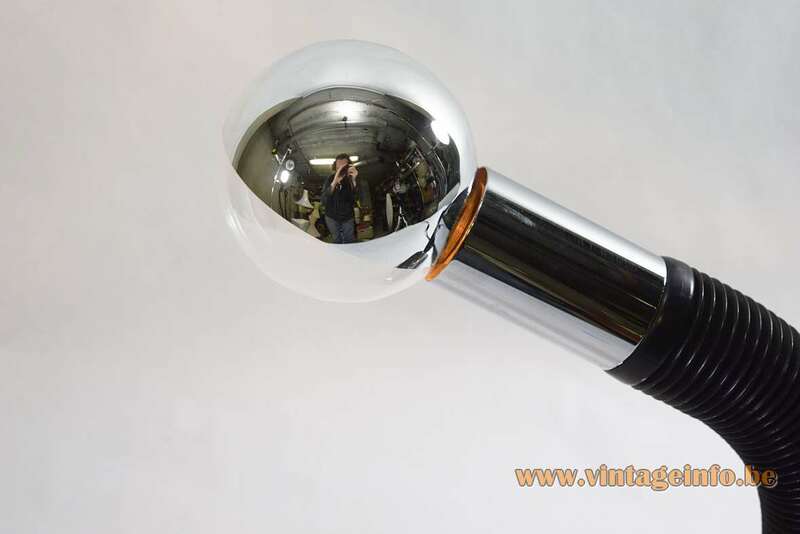 Side mirror globe light bulbs are still in production today in incandescence, halogen en LED. Other versions: Also made in white, red, blue… A chandelier with 4 lamps. 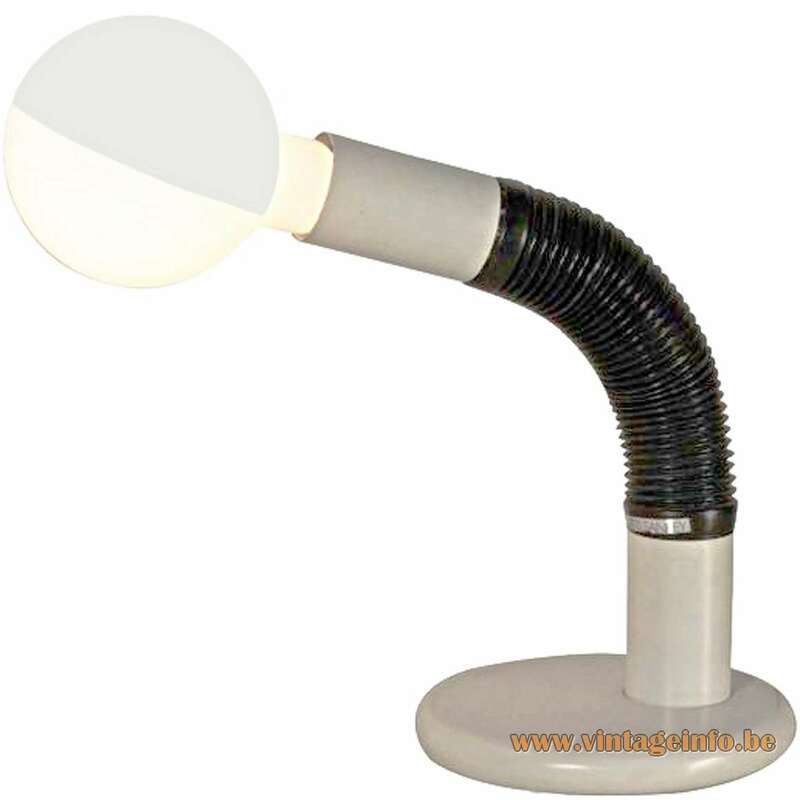 Floor lamp, clamp lamp and many different models. They were a big success. Often attributed to Gino Sarfatti, others say Mario Bellini. But it is E. Bellini according to the iF Design Awards website. Unfortunately no information to be found about the designer. Gino Sarfatti designed a table lamp with many similarities, the 536 C in 1966 with a Cornalux bulb. 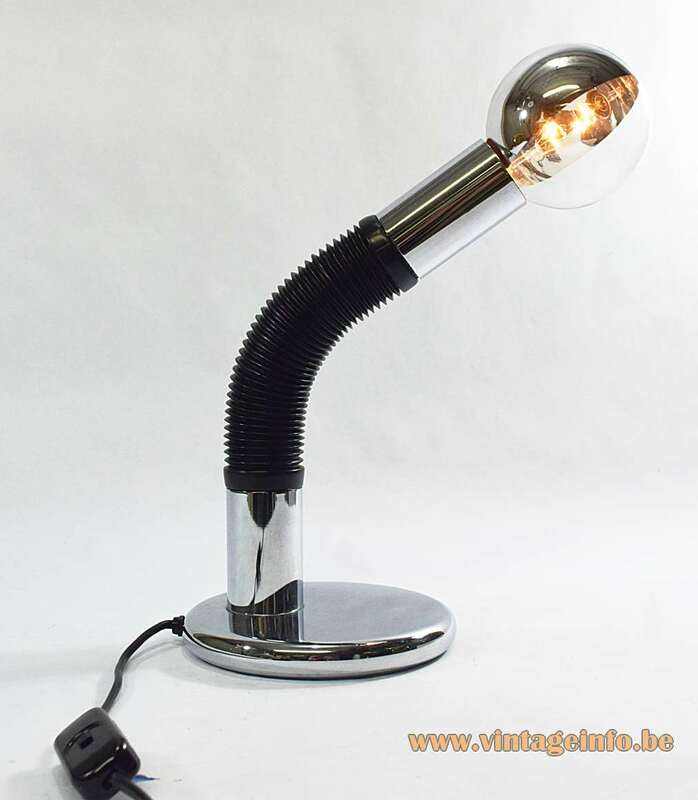 The Elbow desk lamp is often named Bendy, the reason is unclear. 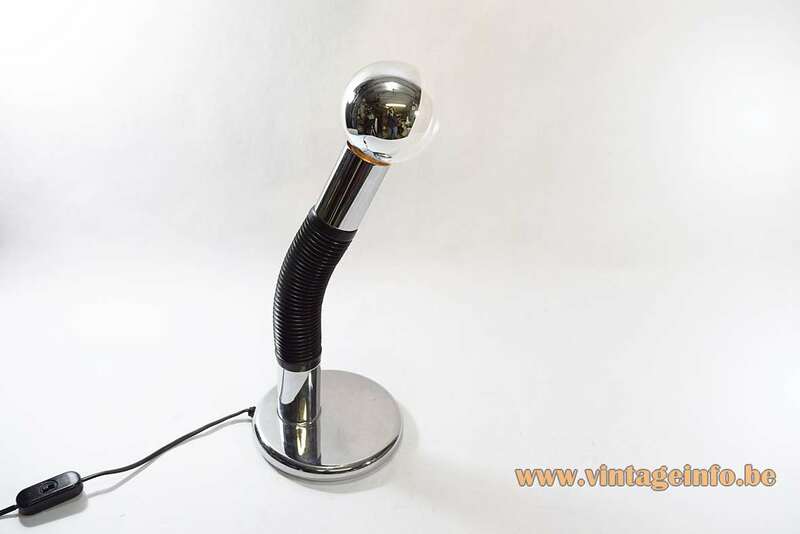 Sometimes confused with the Stilnovo Periscopio table lamp. 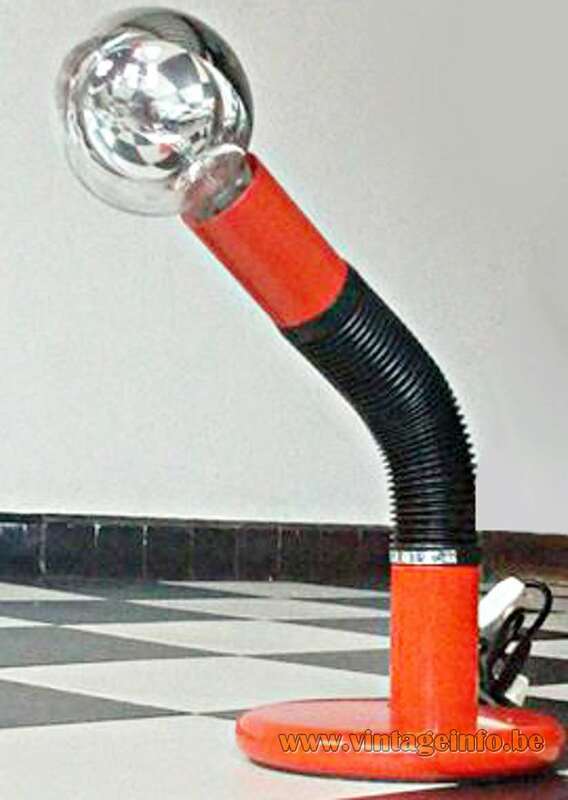 This lamp received an iF Design Award in 1975.